The Variety tray storage units includes 4 deep and 3 extra deep trays. 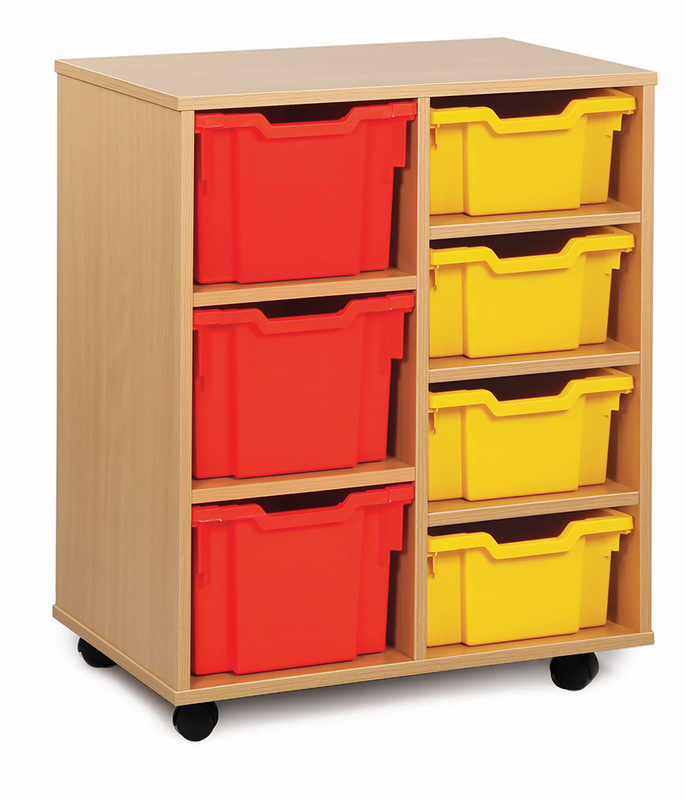 A compact tray storage unit which is ideal for everyday classroom material storage in schools, pre-schools and nurseries. 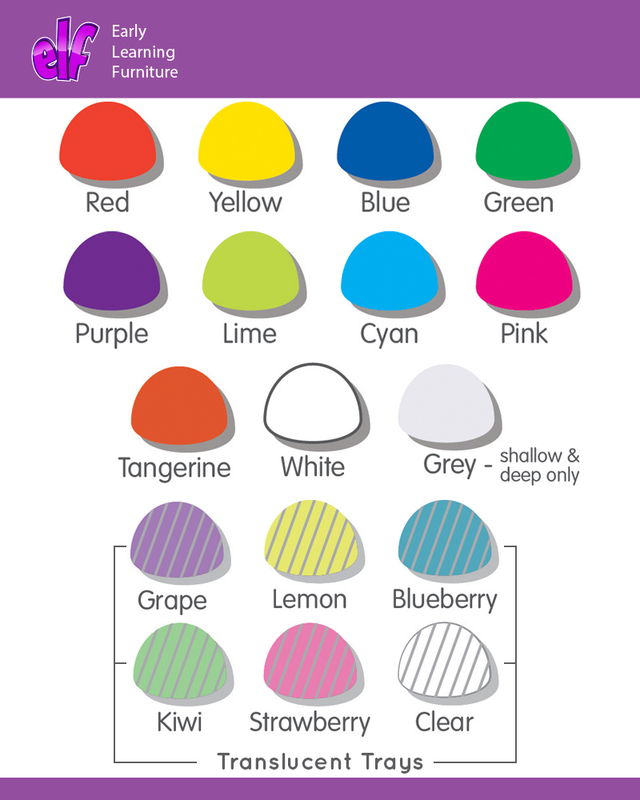 You can choose from 16 eye catching tray colours to suit your school's colour scheme. The variety school trays allow for greater flexibility when storing items large and small. Supplied with easy glide castor wheels and constructed from 18mm MFC in a modern beech finish with protective PVC edging.